Aahh my old baby. I must say I do miss her. My golf GTI was a manual and it used to feel like I was driving the car. The Volvo is great and I wouldn't swap her, but although the car has an incredible amount of power, driving in automatic just isn't the same. Thanks! Yours is pretty sweet as well. I agree with you on the control, though. I miss having a manual, but the automatic is nice in the environment I drive in. The amount of stop and go I deal with makes it a pain to drive stick, however fun it may be. You still have the tiptronic... thats pretty fun. If you went auto, did you get the DSG equipped model? Ok now, no drooling OR touching! Hey Shorty, who is that in your avatar man? I KNOW it ain't you bro! Holy **** where have you been? I went to visit my nephew the other day and he must have taken a picture of my new ride. He has just sent me a bunch of pics of the car which he Photoshopped. Thought I'd share a few of them. The first ones the original. And good taste of course. He does have talent, that's 3D and he's using HDRi lighting to mimic the surroundings of the environment. Very good job on his part. Nomad, what is this "Thrax lite" of which you speak? I command you to live, thread. LIVE! But seriously, who hasn't posted pics of their ride yet? Or has anyone taken a snazzy shot of their ride in the last year or so? I guess I'll get in on the action. These are right before I drove her off the lot. I've had the windows tinted and Revo software installed since then. ive nutted so many times over that car. so want. Nice Suby. Definitely get the one with the turbo next time. They're an absolute riot to drive. Have you heard that Toyota and Subaru are doing a join project to make a new small RWD coupe? Word on the street is it'll be what the Scion tC should have been from the get-go; a spiritual successor to the old RWD Corollas/Celicas. The new car is speced to have a 2L Suby flat-four and a five-speed and should hit lots at just under $20k. 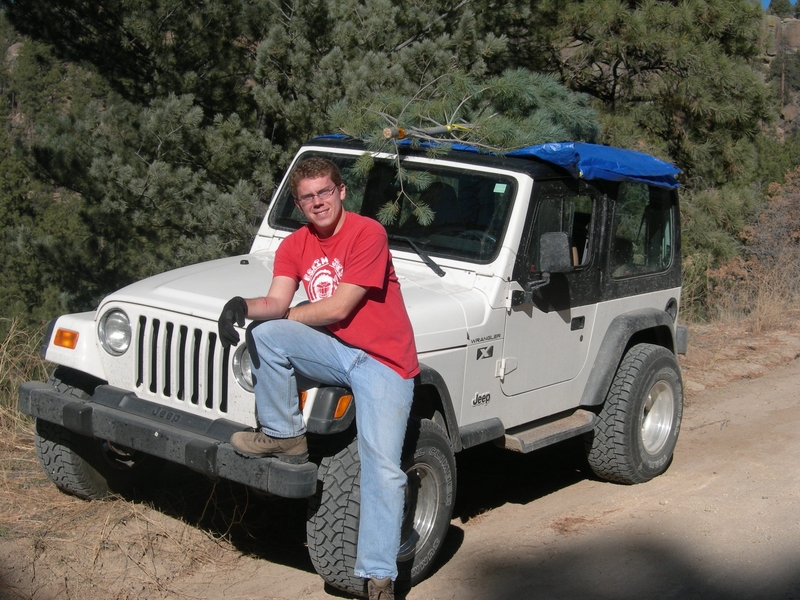 Back in 2005, I bought a Jeep. ...and all I got to show for it was a sweet scar from rescuing it and this Charlie Brown Christmas tree. 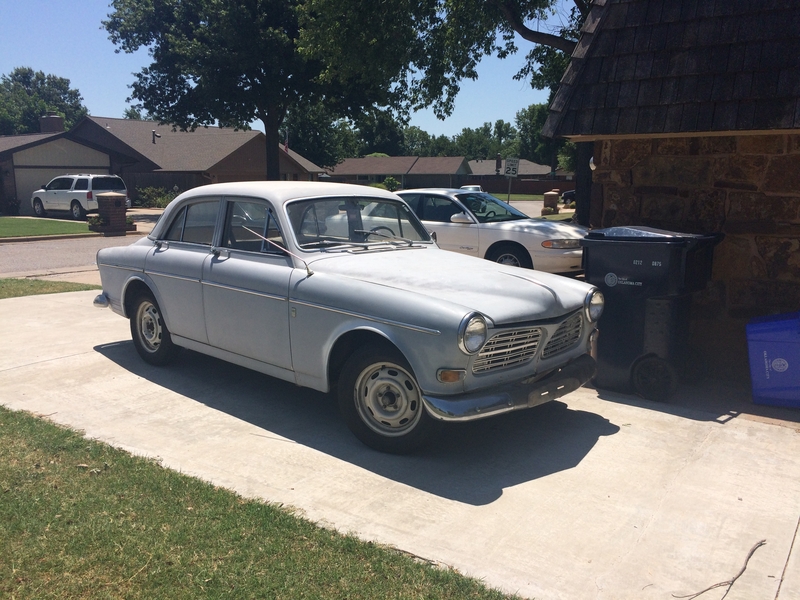 I thought I would sell it before grad school. Instead, I kept it because making car payments while earning poverty wages is clearly the smart move. I rarely used the 4WD in the Midwest since we don't have much public land or terrain to speak of, but it came in handy every once in a while. 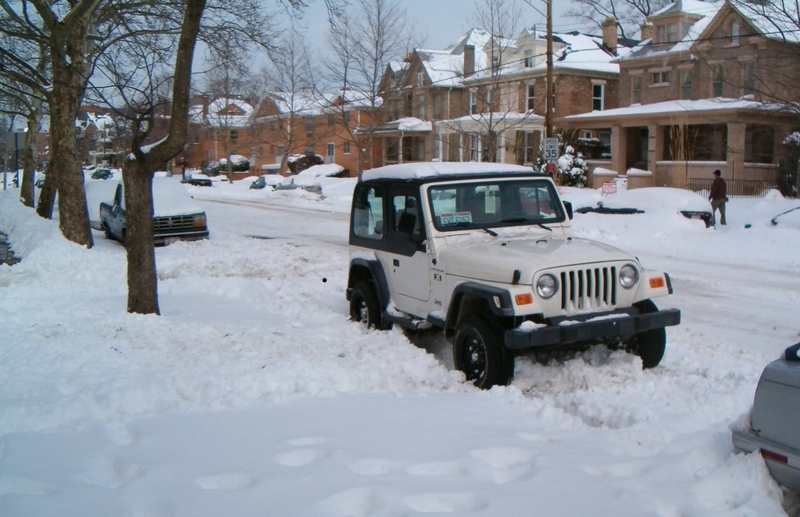 My first winter in Ohio, we had an epic snowfall during Spring Break, and it was only Jeeps, snowmobiles, and dudes on skis on the road. 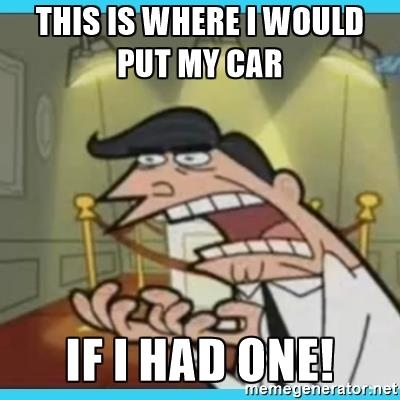 I had bought an extended warranty back in 2005, fearing that it would break all the time, because Chrysler. It actually proved to be pretty reliable, and the only non-routine work it needed was a radiator, twice (but 10 years apart). In 11.5 years, I've only put 60,000 miles on it, which probably helped limit wear and tear. 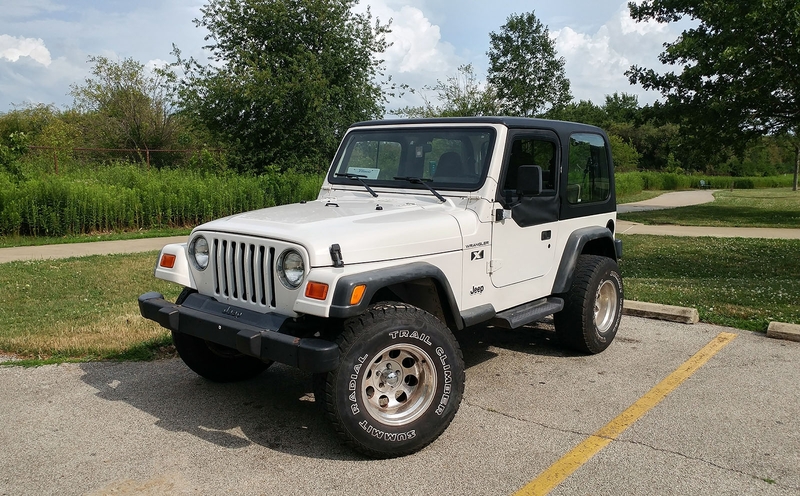 Yesterday, I sold it to a young lady that had been looking for a Jeep just like mine. 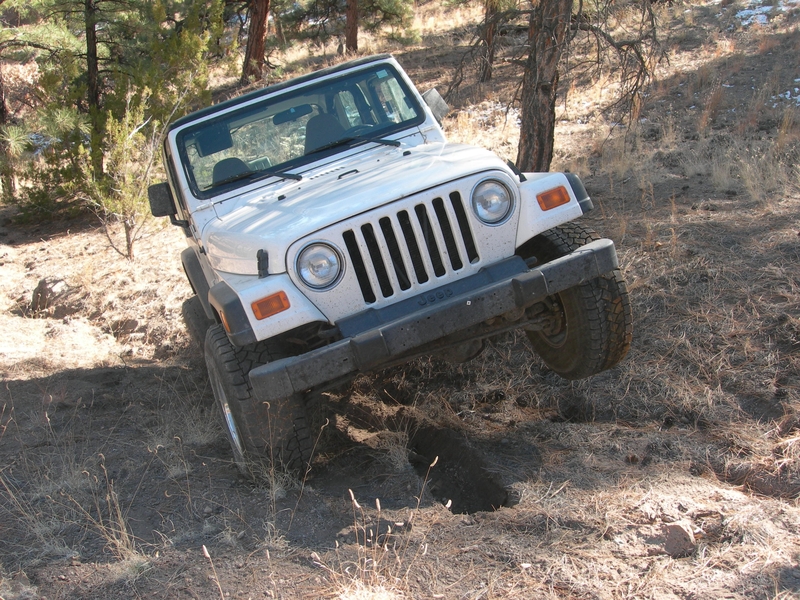 Apparently, Jeeps really hold their value. I saw lots of people on Craigslist selling their Wranglers for 50% over book value. I listed mine at book value, and got considerable interest. I probably could have gotten more money for it, but it would have taken more time. I'm moving to New York City in a couple weeks, so it had to go now. Via con Dios, Adventure Jeep! Cool. Know anybody who lives there? I think he lives near @TD_Isles. Okay, but that still doesn't tell me where they live. Did you assume @buttko's gender?